On September 10, a traditional sports event for children took place at Haga Park. 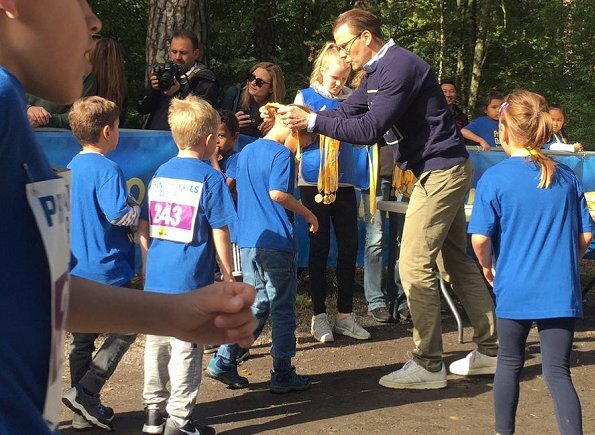 That event is the annual Prince Daniel's Race and Sports Day held by Prince Daniel for children. 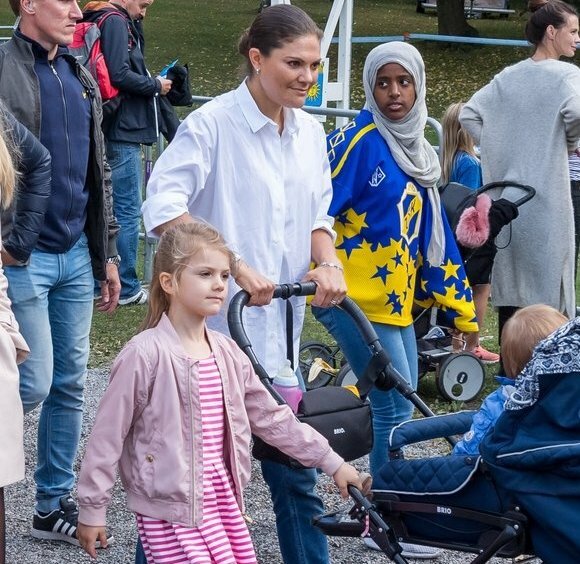 Crown Princess Victoria and her children Princess Estelle and Prince Oscar came to Haga Park in order to watch the race. i always love seeing the Royal Family at less formal events. They look very engaged and interact with the children very well. It's great to see them in with the crowds. But that lady in the trench coat omg - who wears something that short to a children's sports event? They look like Daniel's nieces that were bridesmaids in the wedding. It's lovely to see the two future queens together and the determined look of both of them. Estelle certainly got her mother's chin! 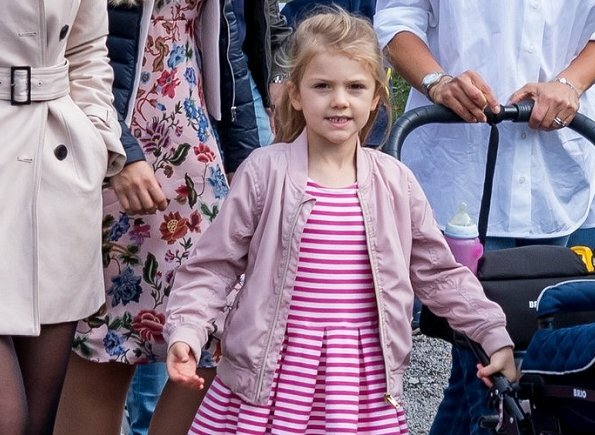 Estelle looks a bit fatigued and I wonder if she has been ill. She doesn't look dressed to participate with the other children. ...And still not a smiling picture of Oscar. Danniel looks very good dressed casually, same as Victoria although she's still with the boring bun no matter where she goes or what she does. Estelle is cute but looks a little bit not so happy. Maybe the children were ill? Both are quite pale. Yes, judging by pictures, Oscar doesn't seem to be one of the most cheerful children in the world. He always has a grumpy look on his face. With an 'old man' name like Oscar, I wouldn't smile either. Oscar is not always grumpy. That site shows really sweet photos of Oscar smiling. What a dear little boy. He has a lot of teeth filling his wide smile! Thanks for pointing us to the pictures. 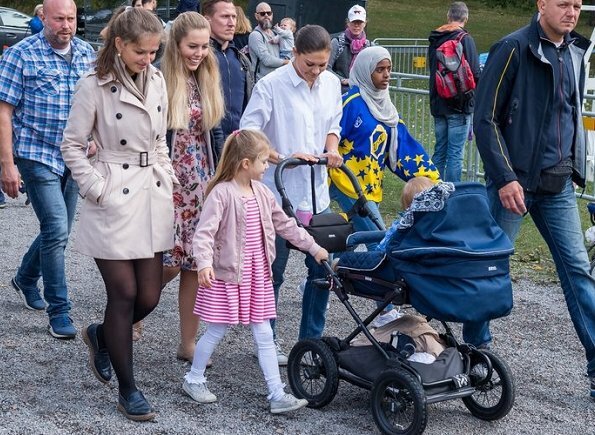 Princess Victoria looks very proud of him in those other photos, too. Oscar is a cutie, and so is Estelle! Those poor little girls with their heads covered...How sad.